Tomás Roscelyn Thomas ~ Roscelyn ~ Thomas Rocelin. Guillermo Bardolf ~ William Bardolf ~ Willem Bardulf. 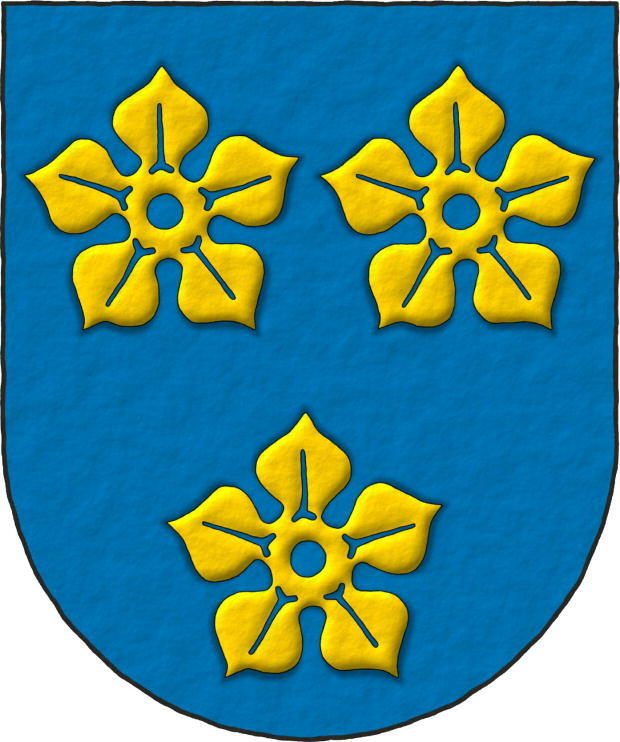 Escudo de azur, tres quinquefolios de or. Included in [Vincent, MS; 1285; number 223] also known as [St. George's Roll; 1285; number 223]. 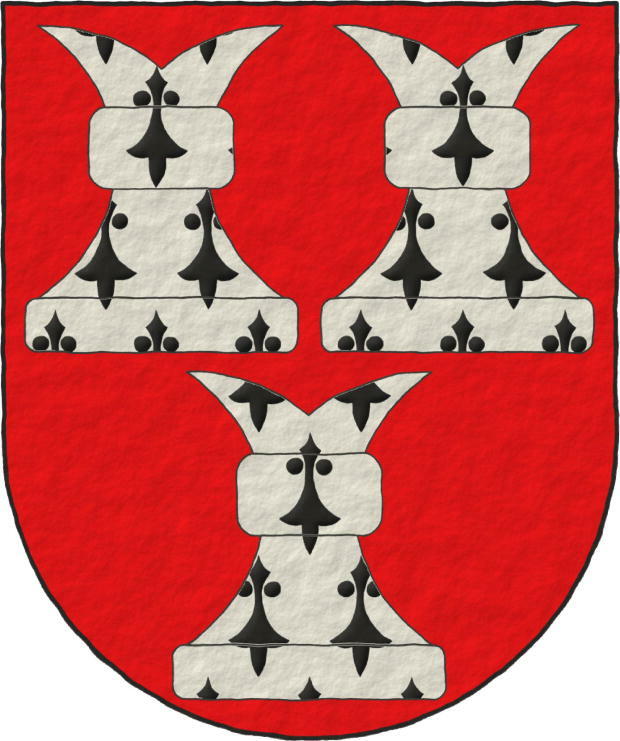 Blazon keywords: Without divisions, Azure, Three, Cinquefoil, Or and Ordered. Style keywords: Semi-circular, Illuminated, Shaded, Outlined in sable and Freehand. Simon FitzSimon ~ Simon le FizSimon. 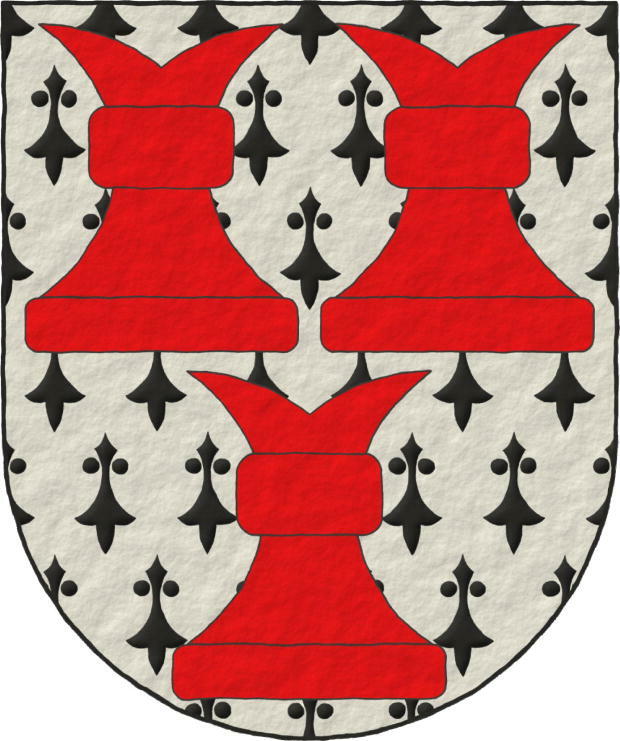 Gules, three Chess rooks Ermine. 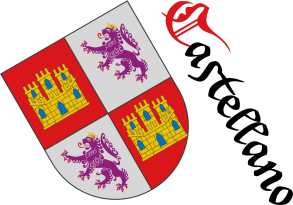 Escudo de gules, tres roques de armiños. Included in [Vincent, MS; 1285; number 224] also known as [St. George's Roll; 1285; number 224]. 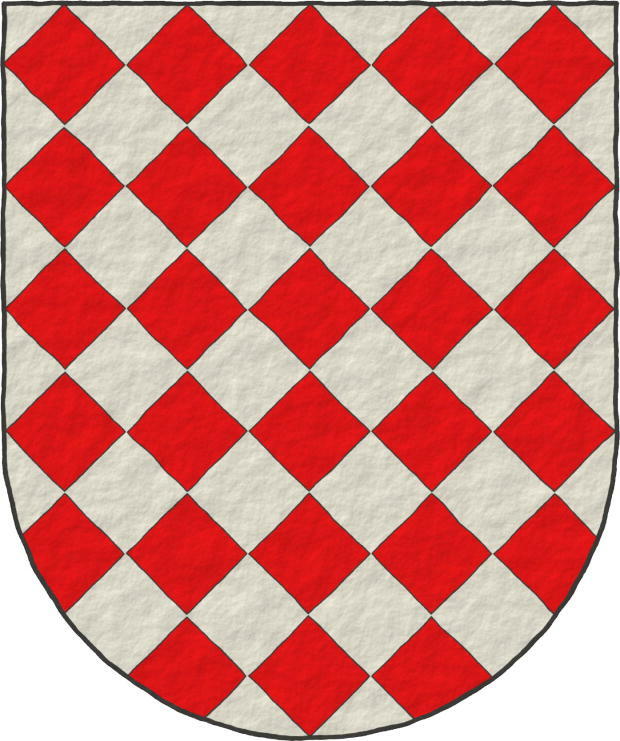 Blazon keywords: Without divisions, Gules, Three, Chess rooks, Ermine and Ordered. Norman de Darcy ~ Norman Darcy ~ Norman de Arci. 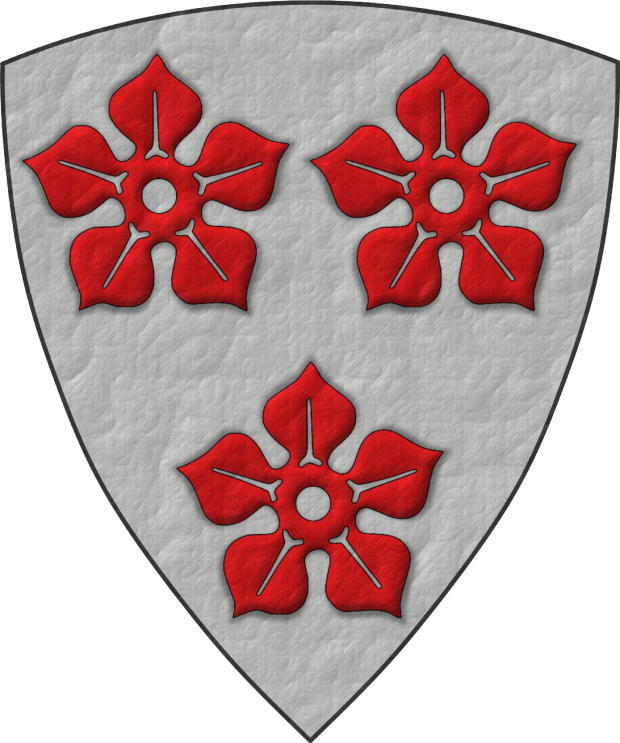 Escudo de plata, tres quinquefolios de gules. Included in [Vincent, MS; 1285; number 230] also known as [St. George's Roll; 1285; number 230]. 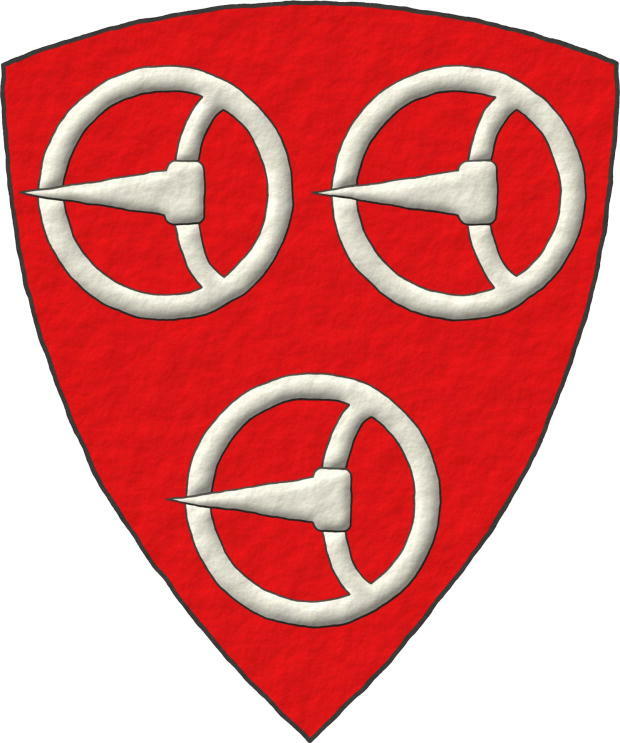 Blazon keywords: Without divisions, Argent, Three, Cinquefoil, Gules and Ordered. Style keywords: Triangular curved, Illuminated, Shaded, Outlined in sable and Fabric. Sigue por: Simon de Crombe. 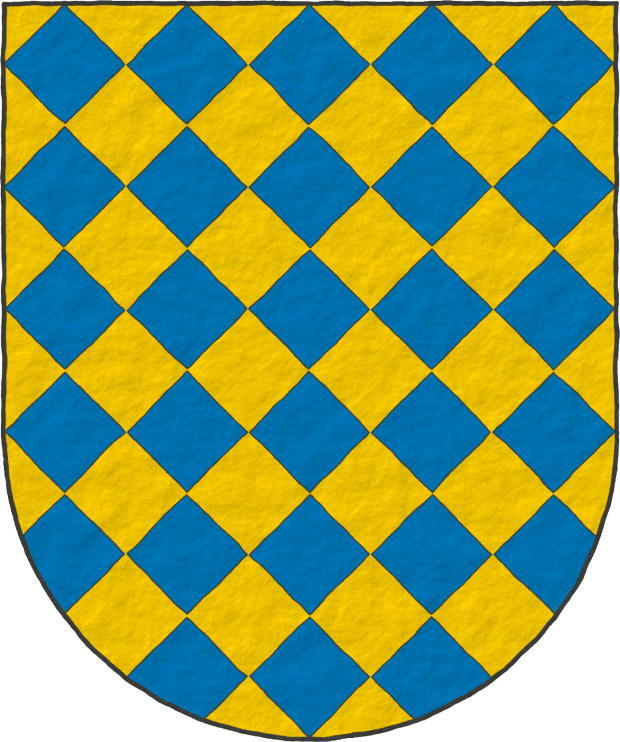 Ermine, Azure, Chevron, Outlined in sable, In fess, Fabric, Personal, Guillermo Bardolf, Guillermo de Handsacre, Gules, Buckle, Illuminated, Interpreted, Chief, Lozengy, Semi-circular, Norman de Darcy, Ordered, Or, Argent, Without divisions, Cinquefoil, Chess rooks, Sable, Simón FitzSimon, Simón de Croome, Shaded, Spot ink, Tomás FitzThomas, Tomás Roscelyn, Tomás de Warbleton, Freehand, Three, Triangular curved, One and Escallop.